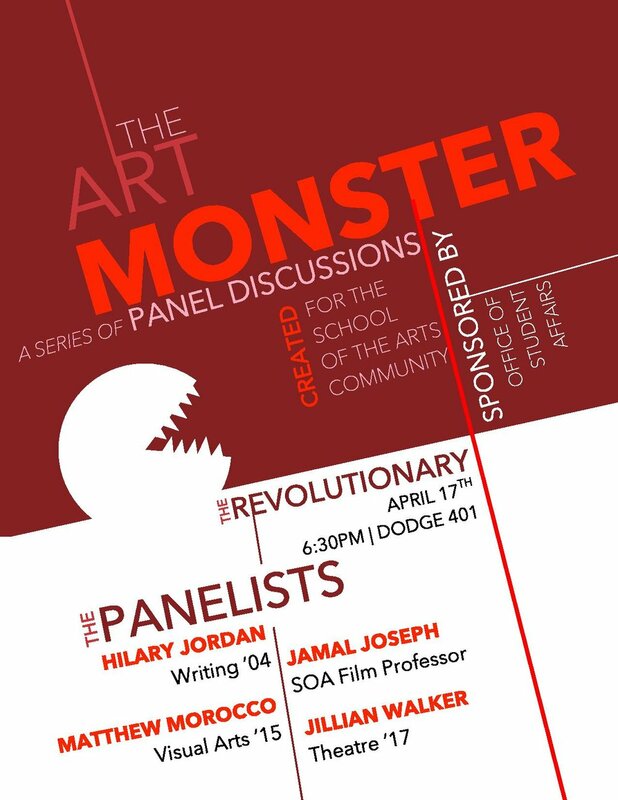 A conversation among artists, students, and faculty about the role of art in social responsibility. Specifically, what does it mean to be a “revolutionary,” an artist who addresses and provokes conversations about political and social issues? Sponsored by the Office of Student Affairs. Food and libations will be served.